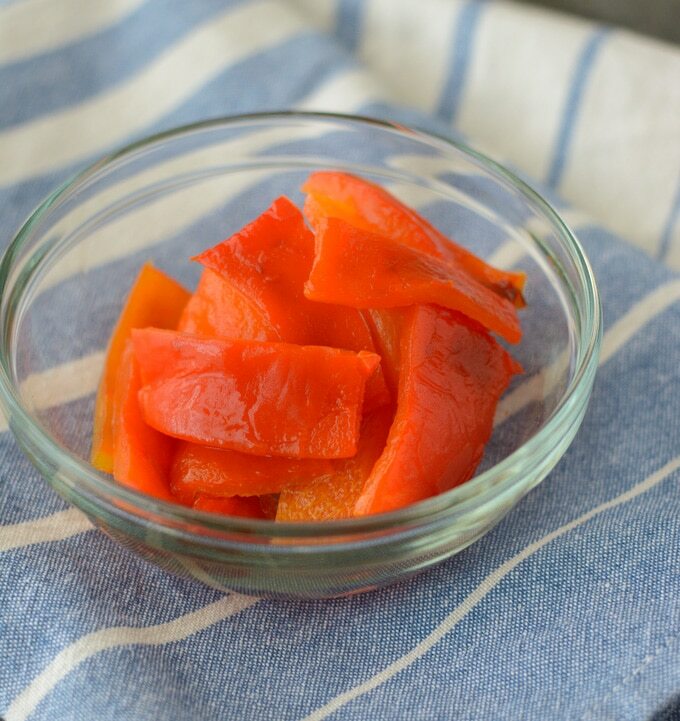 Roasting your own bell peppers is super easy and quick to do! They can be used in a variety of recipes like pasta, hummus and on sandwiches. Today, I wanted to share a tutorial on how to roast bell peppers. This method is one I found in an America’s Test Kitchen cookbook. It’s so unbelievably simple and quick to do! Plus, when you know how to roast bell peppers, you can avoid the added junk that some store-bought ones have. Adjust an oven rack to be 3 inches away from broiler element and preheat the broiler. Slice the tops and bottoms off of the peppers. Discard the stems, and remove the core and seeds. 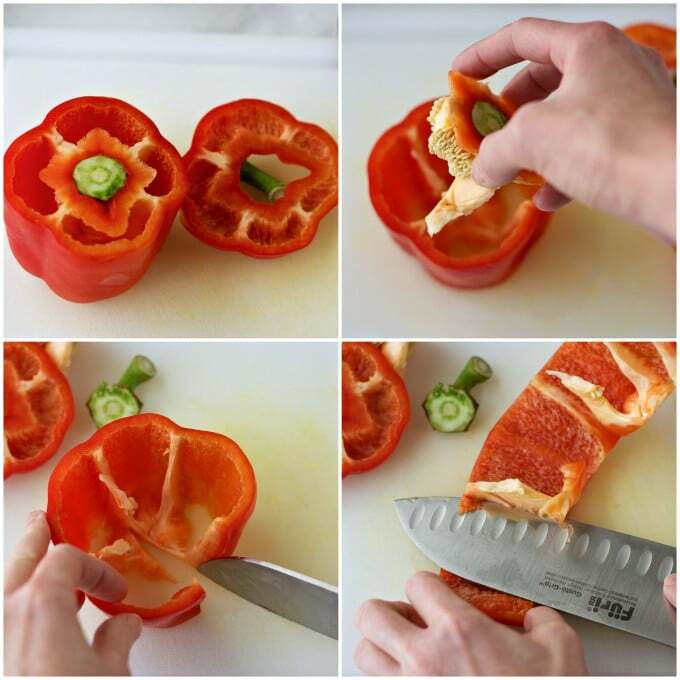 Slice down one side of the pepper and lay flat, with the inside of the pepper facing up. Lay your knife down flat sideways and slice off the ribs of the peppers. Lay the flattened peppers, pepper tops and bottoms on an aluminum foil-lined rimmed baking sheet and place onto the oven rack. Broil until the skin is charred and puffed up, about 8-11 minutes, rotating the baking sheet about halfway through cook time. Place the peppers into a bowl and cover with plastic wrap and let steam for about 10-15 minutes. Do NOT skip this step. It helps the skins peel off more easily. Then, peel off skin and discard. 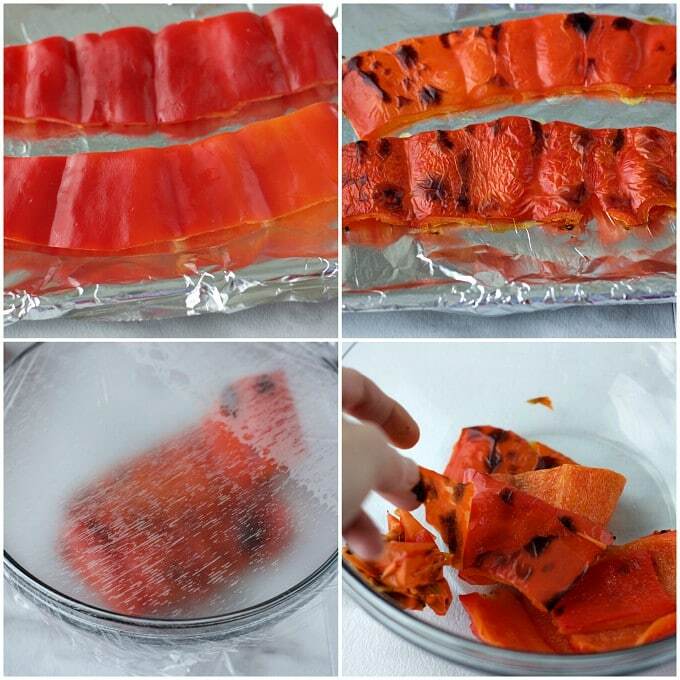 Knowing how to roast bell peppers in the oven yourself will help save you money and unnecessary added ingredients. The added bonus is that they taste so much better, too. 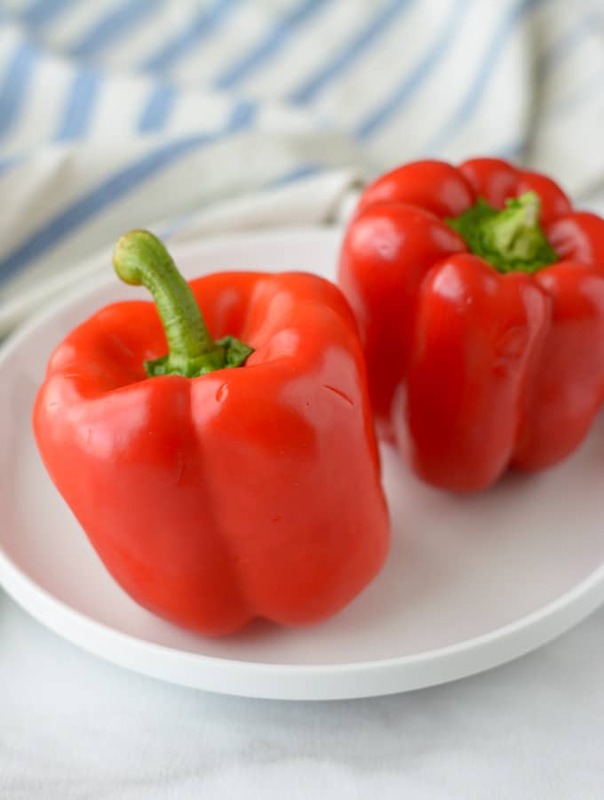 Roasted red peppers add such a delicious sweet and smoky flavor to a variety of dishes like pasta sauce, hummus and soups. Use right away, refrigerate for up to 3 days or place into freezer bags and use within 4 months.